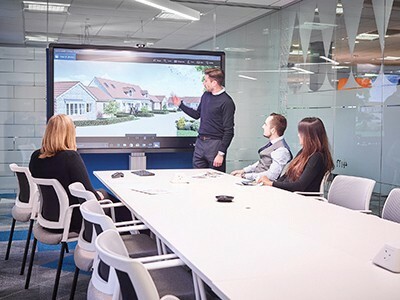 Find out how Clevertouch facilitates business collaboration. Learn about how Clevertouch can support the classroom learning experience. Screen share from your Android, Windows, iOS and Chrome devices directly to the Clevertouch. Up to 50 devices can connect and share, with four devices shown on the screen simultaneously. Clevertouch can be leveraged as a video conferencing tool in your meeting space. We’re happy to integrate it with other technologies for a seamless video conferencing experience. Maximize your ROI with CleverMessage*. Display announcements, daily messages, promotional communication and digital media when the display is standing idle. An interactive display for the workplace. Clevertouch Pro Series is an award-winning interactive touch screen for business. Its clean, clear interface makes it easy to walk up and use. 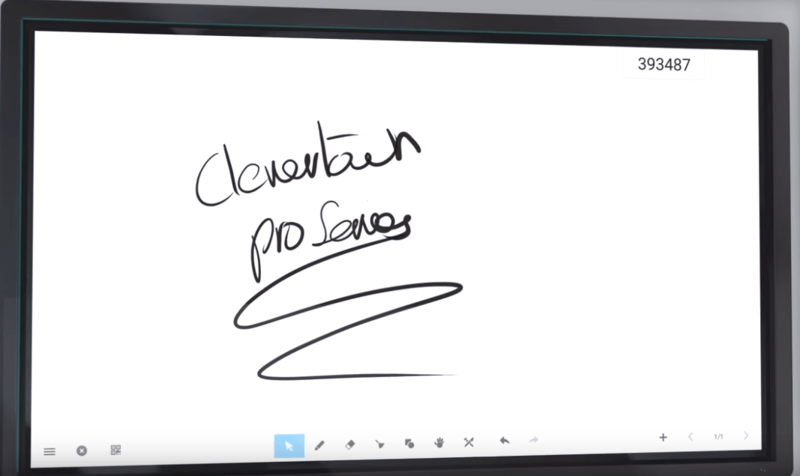 Clevertouch Pro features highly responsive gesture control and fluid handwriting. It has 20 point touch for multi-user collaboration. A 4K display lets you experience clear video. The displays are matte to reduce reflections. 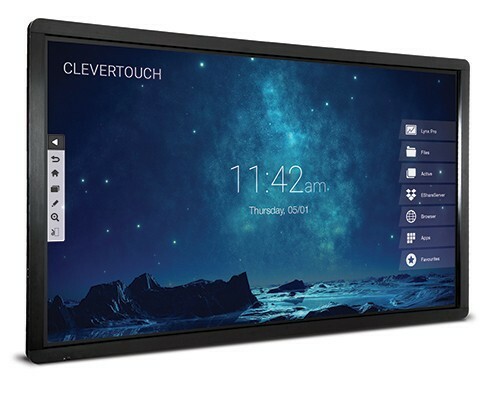 Browse, capture & annotate with Clevertouch. You can also move through active pages and whiteboard to infinity. Share meeting notes with your team with the touch of a button. Laptops, tablets and smartphones can connect, present and collaborate wirelessly. There's also an optional built-in PC for maximum flexibility. System updates are delivered automatically. Remote device management offers IT control from a centralized location. Screen share directly to the Clevertouch. Teachers can choose which students’ screens to display on the Clevertouch, annotate and highlight. Up to 50 devices can connect and share, with four devices shown on the screen simultaneously. Transition between PC, Android, browser and whiteboard with the swipe of a finger. Free apps designed for education, no calibration, and more than 50,000 hours of use make it ideal for the classroom. Email your whiteboard content directly from the screen. The ES File Exporter supports Dropbox, Google Drive, OneDrive and more. 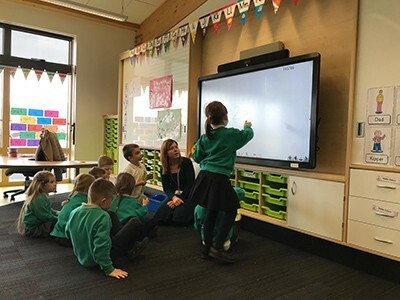 How does Clevertouch work in the classroom? Neurilink was awarded on the KCDA Interactive Display Contract 18-053. Clevertouch displays and turn-key packages are included in the contract. Click to find out more. Neurilink proudly represents Clevertouch in Idaho, Washington, Wyoming and Montana. If you are outside of this area and are interested in Clevertouch, send us an email and we will connect you with the right person.